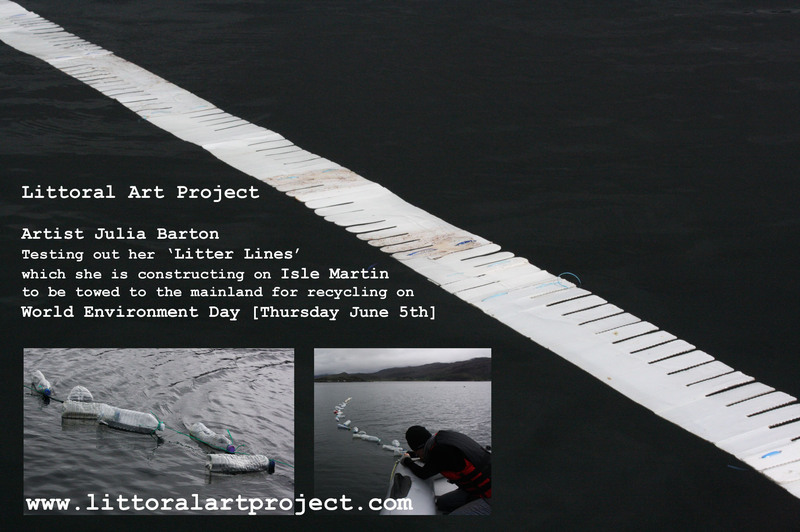 I began this project in response to the horrifying amounts of litter that I found along a strandline in the area two years ago. Ten months on from starting this investigation in Ross-Shire, I am now analysing a new strandline thankfully this line is less inundated with litter. Though what is here still saddens me. To enable me to map the litter items on this beach and I set out my own temporary lines at 10 m intervals crossing the 100m strandline. I walk each of the lines notating the items I can see along the lines to give me a more detailed idea of what tends to be found where in the ‘littoral zone’ , a valuable collection of data I want to work with in weeks to come. Having recorded the positions of the items I am now engaged in collecting and sorting the litter, and beginning to make my ‘litter lines’. Each specific type of material being linked together e.g. prawn boxes sewn together using packaging straps, plastic bottles linked together with fishing cord. At the moment I have 8 different lines underway. 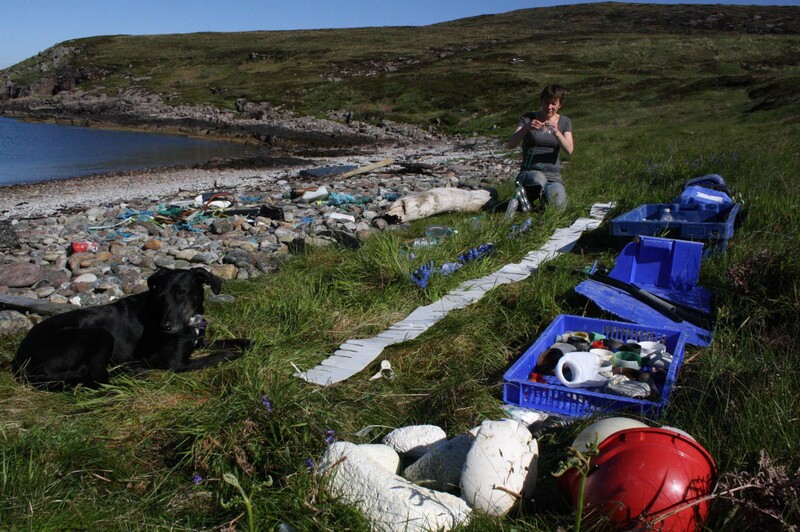 I want the ‘litter lines’ to draw out what is happening along our strandlines, each line graphically illustrating what’s found on our beaches and the quantity of the items found.